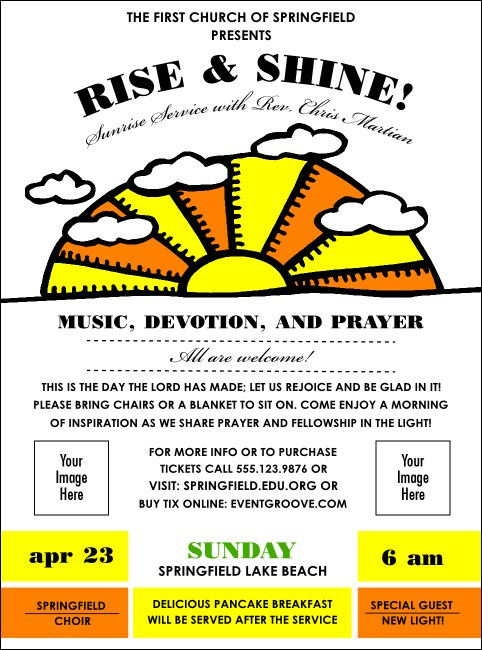 Bear witness for great pre-event advertising with Sunrise Retro Flyers for your next spiritual event. These Flyers will inspire the community to attend your service with a beautiful retro yellow and orange sunrise on a white background, and room to upload two of your own unique images to the template. TicketPrinting.com will help your spread the word about your religious event.